Ausco Modular’s patented SealSafeTM system is making the installation of complexed modules safer and faster. 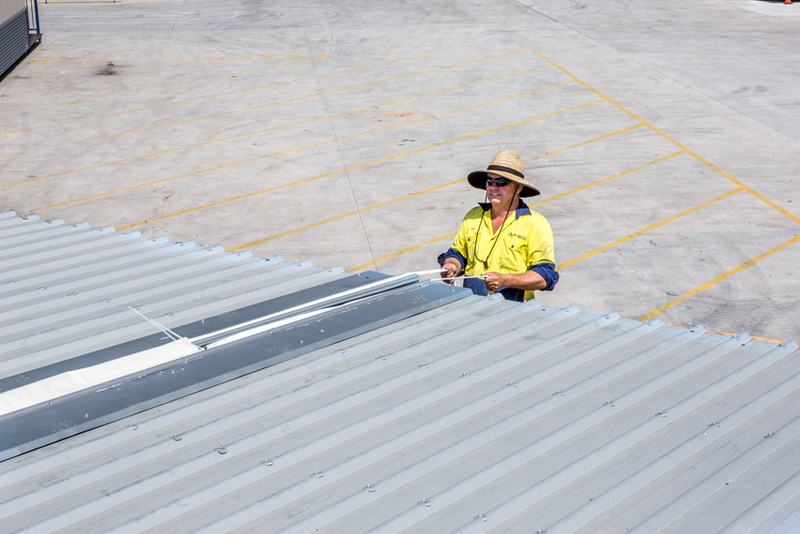 Working at heights is one of the highest risk activities on a building site, but Ausco Modular’s SealSafeTM system is changing the way the modular and construction industries view safety by completely eliminating the need to access the roof during complex module installations. SealSafeTM uses a patented ‘track and sail’ system to weatherproof complexed module joins in such a way that mirrors conventional roofing methods. 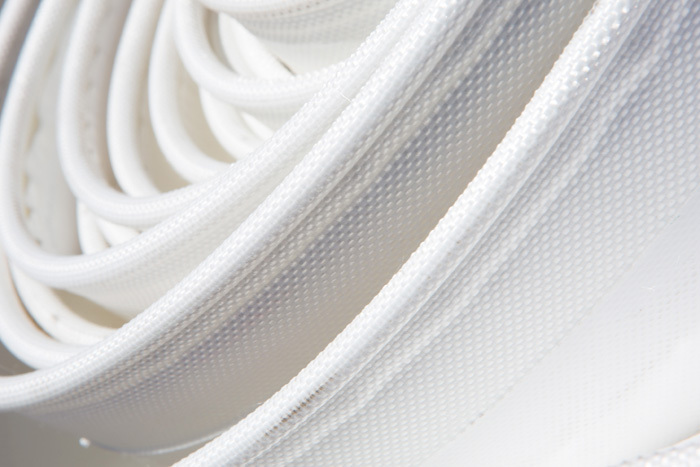 The ‘sail’ is simply threaded through the track system by one operator and ‘pulled’ through the tracks by a second operator at opposite end, creating a watertight, weather-resistant membrane that exhibits all the same tactical characteristics of traditional roofing. SAFETY. No need for elevated work platforms, harnessing, or any other type of working at height infrastructure; significantly reducing risk and compliance issues. SPEED. By using SealSafeTM fitted Ausco modules, our installation time on your site is significantly reduced. On a busy site, this equals fewer Health and Safety risks, reduced traffic flow issues and fewer site inductions being needed. This inherently produces both direct and indirect cost savings. NO PERMITS. Save time and hassle by removing the need for securing additional permits. 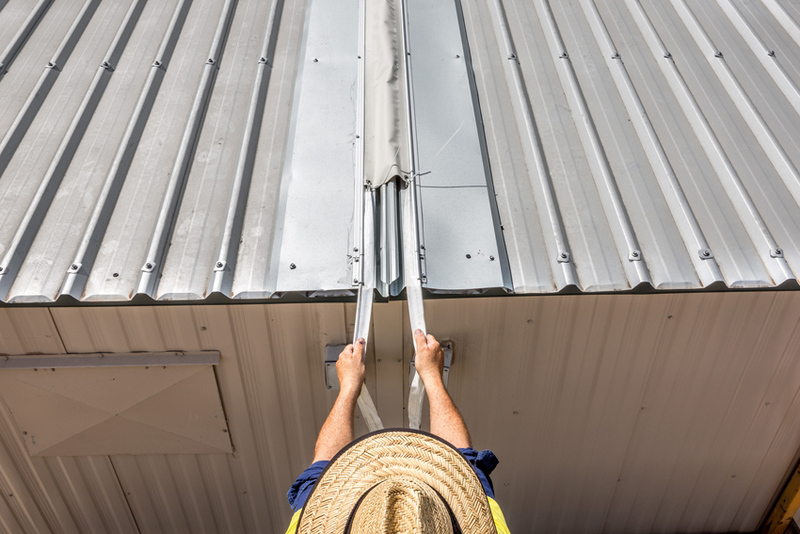 Completely eliminates the need to access the roof of the building during installation. Significantly decreases safety risks, saves time and saves money. Ask for SealSafeTM fitted modules next time you place a building hire order.